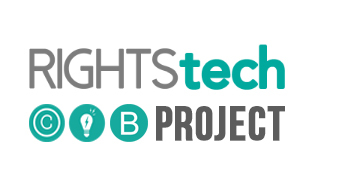 The RightsTech Project served as an adviser to the U.S. Patent & Trademark Office on the program for its January 25th public meeting on Developing the Digital Marketplace for Copyrighted Works. Transcripts and video of the sessions are now available. Video 2 includes Panel Session 2, on the role of registries in commerce, moderated by Jim Griffin, Managing Director of Hazen, LLC, and presentations by Lobster.media and the U.K. Copyright Hub Foundation. Video 3 includes Panel Session 3 on licensing and monetization, moderated by Vickie Nauman, Founder of CrossBorder Works, and Panel Session 4, on global perspectives, moderated by Paul Sweeting, Co-founder of the RightsTech Project, along with closing remarks by John Morris, Assistant Administrator and Director of Internet Policy at the National Telecommunications Infrastructure Administration. The full transcript of the event is available here. The agenda and speaker bios are available here.